You are here: Home / General Information / Animals Today May 26, 2018. “Feeding two birds with one scone.” Humane animal idioms. Emotional support animals at Yale. 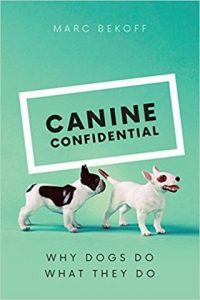 Canine Confidential, by Marc Bekoff. Preventing dog bites. Differences between dog and cat people. The show begins with a fun segment about animals in popular sayings. Many of them, such as, like shooting fish in a barrel, evoke cruel and violent images, so we are always on the lookout for nicer substitutes. Listen in and tell us what you think. And please share your favorite humane animal idioms on our blog or facebook page! 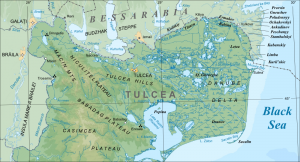 Then, Lori presents a short segment about the rich and diverse wildlife present in the Danube delta. Peter then welcomes Jacob Sweet, a Yale senior and contributing reporter for the Yale Daily News, about the proliferation of emotional support animals (ESAs) on campus. Sweet said that at last count there were 14 ESAs at Yale, and the Resource Office on Disabilities expected the trend to continue. Next up is Marc Bekoff to talk about his latest book, Canine Confidential – Why Dogs Do What They Do. This read is thought-provoking and insightful, as we have come to expect from Professor Bekoff, and is informed by his unique background as an Ethologist and wolf behavior expert. 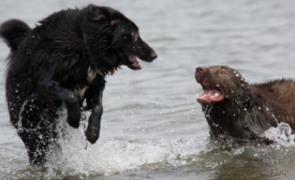 Marc is Professor Emeritus at University of Colorado, Boulder, and writes Psychology Today’s Animal Emotions column. Lori then reviews information about dog bites, first from the Insurance Information Institute about the incidence of bites and paid claims related to bites, and the AVMA on dog bite prevention. To conclude, Lori reviews a neat survey by Mars Petcare highlighting the differences between dog and cat people. From Canine Confidential, courtesy of Carl Safina.